A new report from Business in the Community reveals that many small businesses are leaving themselves vulnerable to cyber attacks. 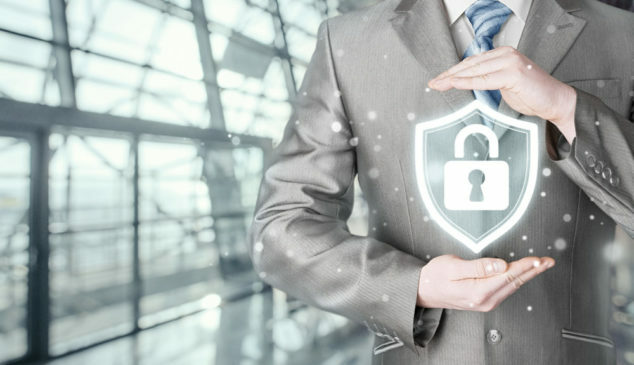 A worrying 30% of small businesses don’t have any cyber security strategies in place at all, according to new research from Business in the Community (BITC). The report, Would you be ready for a cyber attack?, reveals some eye-opening findings for small businesses. For example, only 35% of small and medium-sized businesses have a basic data protection policy and a meagre 23% have a policy for controlling access to their systems. In terms of cyber security software, 17% or less of small and medium businesses reported not knowing when they update each of these programs or do not use them at all. The legal and IT telecoms sectors have the most measures in place with only 8% of both sectors indicating they have nothing. Retail (43%), construction (39%) and real estate (36%) have the fewest cyber security measures in place. Meanwhile, the transportation and distribution sector was the least likely sector to know what, if any, cyber security measures were in place (34%). A substantial 40% of businesses in Wales and 32% in the North East said they had no cyber security measures in place at all. By contrast, 18% of small and medium-sized business in London and 20% of businesses in the East of England and East Midlands indicated they have no cyber security measures. Small businesses were more likely to think it is not necessary (34%) or have no particular reason (28%) for training all of their staff in cyber security, rather than just the IT department. That’s compared to 17% and 18% of medium-sized businesses respectively. To get an overview of your business’ resilience against cyber attacks, Take Business in the Community’s readiness test – you can find it at www.wouldyoubeready.org.uk. At the end of the test you can download a PDF which has tips and links to resources. You can also opt in to a small business resilience community to get future resilience communications. The following is the minimum number of things a business should do to be more cyber resilient, according to the National Cyber Security Centre (NCSC). Use a firewall to protect your internet connection. You’ll find built in firewalls on most devices. Back-up your business-critical data regularly, preferably automatically and in one place. Updating software straight away leaves fewer holes and bugs in your software that can be exploited by hackers. If you can’t update manually, the NCSC recommends that you set up notifications from your software provider, so you know there’s going to be a change. Develop a cyber security policy that includes cyber security. This needs to be shared with all new and current employees with regular training provided by the company – including disciplinary procedures as a deterrent. Training must be appropriate for the department. For example, the IT department will be more involved in the implementation of policies so they should have more in-depth training. Pay attention to what’s going on in the cyber security world too. Follow authorities on the subject through social media and sign up to newsletters where you can. It also helps to invest in cyber insurance as a support should there be a case of disruption to your businesses or there are costs involved with data loss or replacement of equipment. You’ll also have access to specialists at short notice helping to stop an attack and get you back on track as soon as possible. Help with managing your company’s reputation should a breach occur and paying any fines associated with a breach. For help with all of these areas, speak to our team. If it is a service we cannot provide, our membership with the North West Cyber Security Cluster mean we can help to recommend service providers which need to adhere to standards set out by the NWCSC.